Spy Monkey Creations Inc. is proud to announce the debut of their new original property: The Weaponeers of Monkaa! 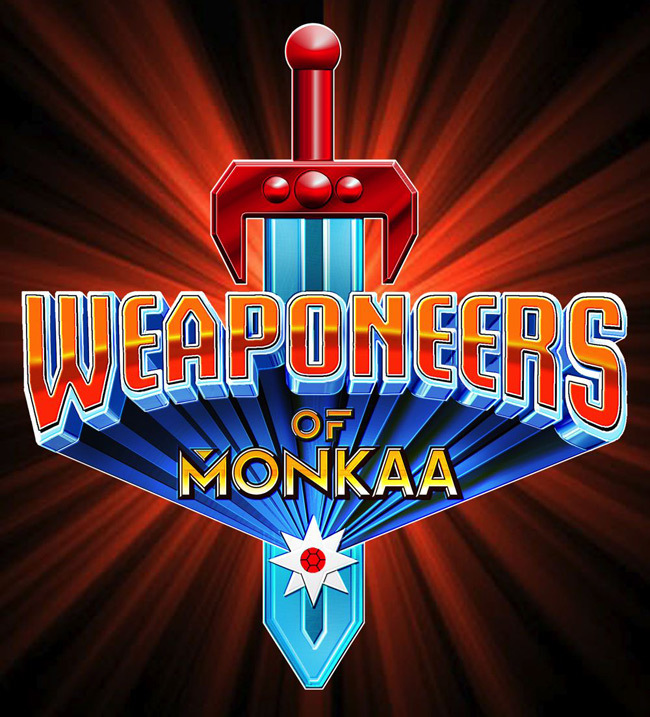 Enter the world of the Weaponeers of Monkaa! Witness the eternal battle between the heroic Gearo and the evil Vilhain as it rages across space and time! Empyreus, Palidar and their Gearo defenders protect the cosmos from Umbreus, Brutok and the ravening Vilhain hordes! Discover the secrets of the mysterious Gohlem; will they follow the path of good or evil? Join the battle and decide the fate of The Weaponeers of Monkaa! September 2012 - The Weaponeers of Monkaa will introduce fans and collectors to a new world of fun and adventure. Meet the heroic Gearo and the evil Vilhain. Join in their epic cross-dimensional battle. Decide what path, good or evil, the beings known as Gohlem will walk. Play with and display them as they are or rebuild and customize each character your way. The possibilities are endless!